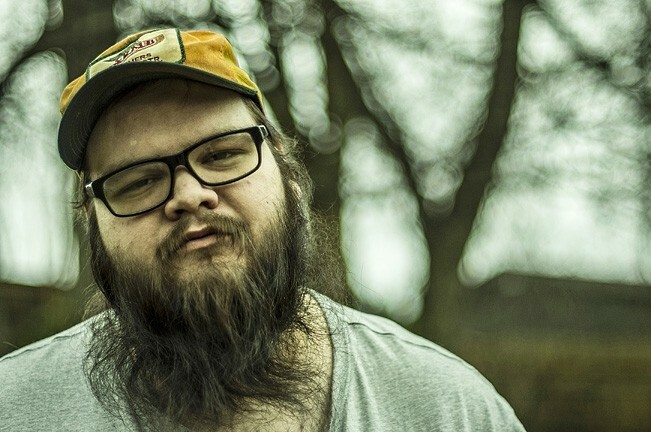 John Moreland’s lyrics can only be described as poetry, and he sings them like they’re his last will and testament and you’re standing next to his deathbed. It was a breathtaking performance, emotion-drenched and spellbinding, and after it was over, it felt like a breakthrough. Moreland has been building momentum for years, but this was his first time on national television. New Times spoke to Moreland by phone. Was it just another gig, or did it feel momentous to him? IN THE THROES: John Moreland plays a SLO Town show on Feb. 25, bringing his heart-wrenching and achingly beautiful songs to Tap-It Brewery. The YouTube video of the performance already has about 80,000 views, and he’s riding the appearance into a new national tour that started Feb. 18 in Dallas, takes him into Arizona, then California including a Numbskull and Good Medicine Presents show next Thursday, Feb. 25, at Tap-It Brewery in SLO Town (7:30 p.m.; 21-and-older; $13 presale at ticketfly.com or $15 at the door), before he heads up to Portland, Seattle, and then east across the U.S., ending in June at the Bonnaroo Music & Arts Festival in Tennessee. This isn’t Moreland’s first time through our area—he’s played Dunbar Brewery thanks to local promoter and musician Patrick Hayes—but after his TV appearance and the critical acclaim of his last couple of albums, he feels like he’s on the brink of making it really big. He’s come a long way for an Oklahoma punk rocker who in 2004 at age 19 discovered Steve Earle’s The Revolution Starts Now and had a musical epiphany after hearing the song “Rich Man’s War.” In his bio, he describes how the song felt like “someone punched me in the chest.” Now he’s making songs that feel just as potent. Did his time fronting punk bands in some way inform what he’s doing now? He’s way past “just getting going” now. 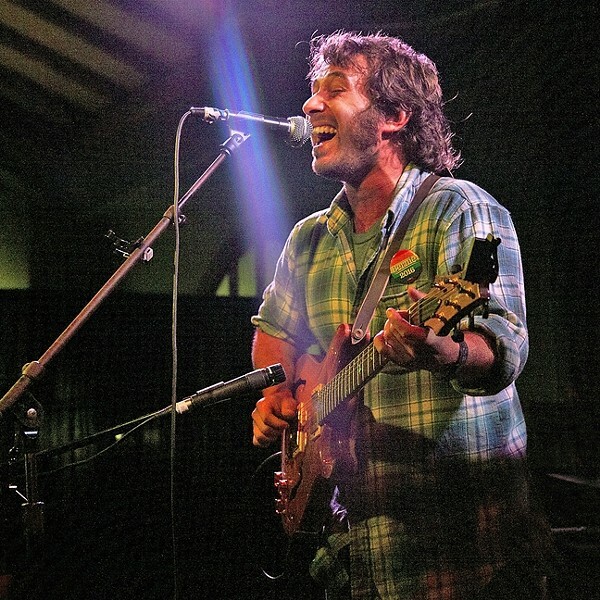 His newest album, High On Tulsa Heat, is Moreland’s third after In the Throes (2013) and Earthbound Blues (2011), and his music has been described as everything from folk to roots music to blues to Americana. Like a lot of his musical heroes, his music is definitely lyrics-driven, with emotionally resonant and highly literate songs. I think Lucinda Williams might be his female counterpart in contemporary folk music. Who does he turn to when he needs inspiration? JAZZ MASTER : Jazz guitar great John Stowell plays a solo dinner show in the cellar at Novo on Feb. 21. A lot of Moreland’s songs seem to be about trying to figure things out, whether that be romantically, spiritually, or just how to navigate life’s unpredictability. Does he have things figured out, or is he winging it? STRAIGHT OUTTA NEW JERSEY : Roots and blues artist Joe Kaplow plays Frog and Peach on Feb. 21. Sometimes one washboard isn’t enough! The Crustacea Jazz Band, which plays the song and dance music of 20th century America, will bring their upbeat double-washboard sounds to the SLO Farmers Market this Thursday, Feb. 18, at the corner of Osos and Higuera. If this sounds familiar, it’s because they were originally scheduled to perform last December but were rained out. The last time I checked, there was a 55 percent chance for rain this Thursday, so who knows? Provided it doesn’t rain, this sounds like a blast, and it starts around 6:30 p.m.
On Saturday, Feb. 20, the SLO First Presbyterian Church hosts world-class organist Katya Gotsdiner-McMahan as she teams up with Lindsey McLennan Burdick (soprano), Jessica Hoffman (oboe), Grace Seng (violin), Emily Lanzone (violin), Peter Jandula-Hudson (viola), and Jeanne Shumway (cello) for Lenten Reflections, featuring the works of Bach, Handel and Vivaldi (3 p.m.; all ages; suggestion donation $15). Hospice of San Luis Obispo County hosts Mardi Gras Underground, a benefit with the Community Counseling Center, on Saturday, Feb. 20 (6 p.m.; $30 presale available hospiceslo.org/events or call 544-2266 or $35 at the door), at Park Place in Paso Robles. Expect live entertainment, a silent and live auction, and local cuisine. Tickets are $30 presale and $35 at the door. Bluegrass act The Alabama Bow Ties from San Francisco play Castoro Cellars on Saturday, Feb. 20, (7 p.m.; all ages; $25) to benefit Parents for Joy, a group of parents and families of special-needs children in and around Atascadero, whose goal is to create a special-needs playground at Colony Park. If you can’t attend, please consider making a charitable donation to their group: parentsforjoy.org. Call the venue at 238-0725 or Mike of the Santa Lucia Knights of Columbus at (661) 317-6048 for presale tickets. MIKE AT THE MIC: Singer-songwriter Mike Annuzzi headlines Bang the Drum Brewery during the Songwriters at Play showcase on Feb. 22. 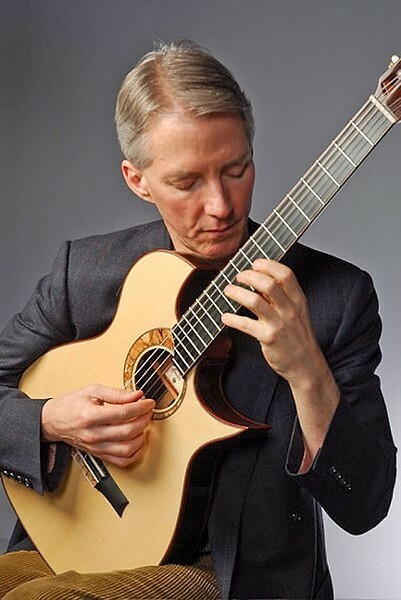 Jazz guitar great John Stowell will play a solo dinner show in the cellar at Novo this Sunday, Feb. 21 (6 p.m.; all ages; $15 presale tickets at 543-3986). This is a great chance to see one of the giants of jazz guitar in an intimate setting. Call right away. I’ll be very surprised if this one doesn’t sell out. Songwriters at Play hosts Cal Poly grad and quasi-local singer-songwriter Mike Annuzzi, who’ll headline the showcase at Bang the Drum Brewery on Monday, Feb. 22 (6:30 p.m.; all ages; free). 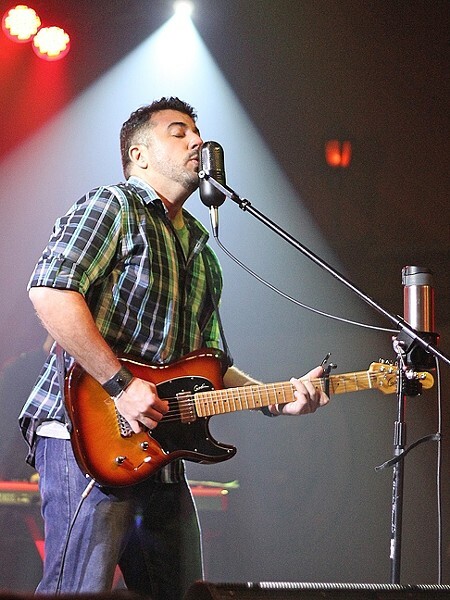 Annuzzi has played more than 500 shows around the U.S. in the last three years, sharing the stage with the likes of Los Lonely Boys, Kenny Wayne Shepherd, O.A.R., and more. On Wednesday, Feb. 24, Cal Poly Arts presents Australian musician, comedian, actor, writer, and director Tim Minchin “in a hilarious solo evening at the piano, combining razor-sharp stand-up comedy with sly, satirical songs” (7:30 p.m.; all ages; $20.80 to $36 at 756-4849 or online at www.calpolyarts.org) in the PAC-SLO.